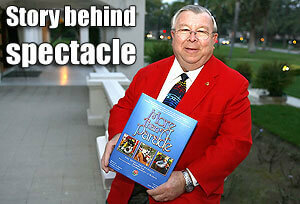 Former Tournament of Roses President Michael Riffey recently published "More Than A Parade," a behind-the-scenes book of vignettes and pictures from the Tournament of Roses Parade and Rose Bowl. Michael Riffey with "More Than A Parade"(Pasadena Star-News). In addition to his long history with the Tournament of Roses (TOR), Riffey has played a vital role in bringing the 2007 Drum Corps International World Championships to Pasadena, Calif. Currently he serves as chairman of the Pasadena Local Organizing Committee (PLOC) for the 2007 DCI World Championships. Formed in the spring of 2005, the PLOC is working to provide a tremendous amount of logistics and marketing support in Pasadena and the surrounding community related to the 2007 DCI World Championships. The committee interfaces with community leaders, government officials and local businesses to help Drum Corps International to provide a world-class experience for participants and those attending the upcoming events. "Four sub-committees make up the PLOC including those dealing with resources, public relations, corps relations and corps housing, and day-of-event operations," said Drum Corps International Event Operations Manager Missy Berg. "PLOC members will be assisting Drum Corps International in educating the community about the week-long celebration of the 2007 DCI World Championships and how they can be involved in it or enjoy it as spectators." 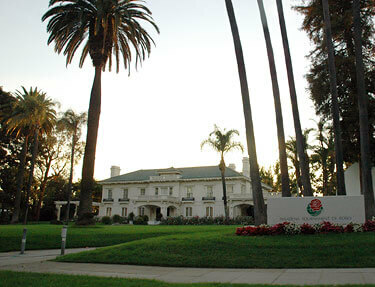 The PLOC meets approximately every two months at the Tournament House, headquarters of the Pasadena Tournament of Roses Association. The PLOC is made up of more than 20 members including Tournament of Roses volunteers and officials; Pasadena city officials; staff members of the Pasadena Convention & Visitors Bureau, Rose Bowl Stadium and Pasadena City College; and Pacific Crest Drum and Bugle Corps staff and volunteers. Riffey selected members of the LOC based on their backgrounds in the TOR or business community. Those on the committee from the TOR all are 25-year veterans of putting on the parade including two past presidents of the TOR and one who is slated to be president in 2013. "The people from the Rose Bowl staff are used to putting on big events all of the time," said Riffey in an interview with DCI.org. "I have the cream of the crop on this committee and with the help of Drum Corps International; we should have no problem putting on a class event. It is the only way we know how to operate." Read about Riffey's new book on www.pasadenastarnews.com. In addition to having royalties from the book distributed to TOR Foundation charities, the article says the book will be made available for future Rose Parade marching bands to sell as a fundraiser to pay for their trips to Pasadena. Riffey was interviewed this August by DCI.org about bringing the 2007 DCI World Championships to Pasadena. Read that interview.